The briefing: "We launch a new B2B brand of espresso coffee and we need to develop its identity in various applications"
The design: Researching the art of brewing espresso coffee, we found out a lot about the importance of the brewing temperature and its effect on taste and extraction. We decided to use the temperature of 96º C, which is considered ideal for a balanced result, as the base for the brand-identity. The Italian name, “novanta sei”, was developed into a memorable logo through a typography that a. highlights the formal beauty of the two digits (9 and 6) as they reflect one another in reverse and b. accentuates their playful ambiguity by breaking down their mirroring shapes. 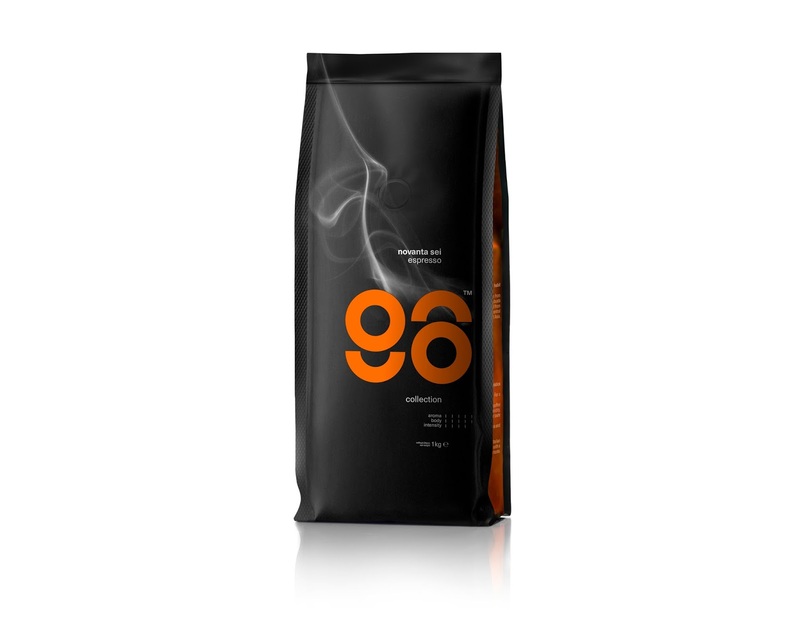 This served both, the organization of the packaging area and the development of the coffee cup application. 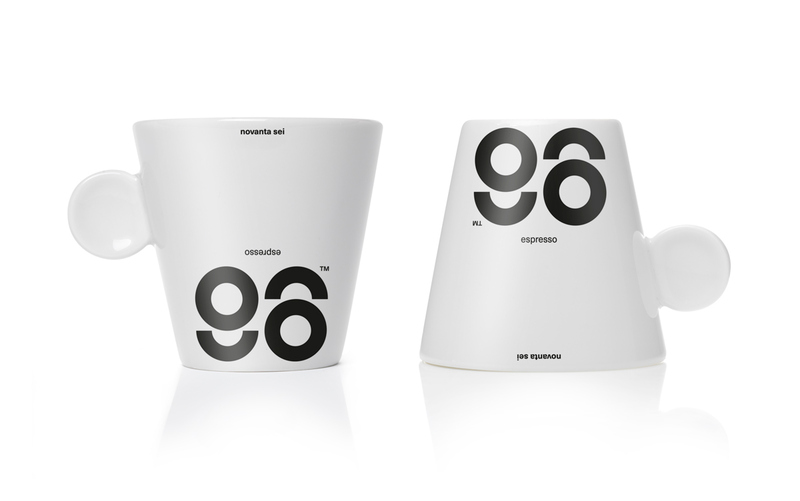 The three coffee variations were distinguished by the discreet shades of letter coloring as well as by an easy-to-read scale for aroma, body and intensity positioned on the front surface. We opted for a somber, strong, dark overall effect animated by the image of coffee steam rising on each package.